CCTV Security Cameras | Closed Circuit TV Tampa | A Total Solution, Inc. Call a company with the best service and products in the business. ATS is Tampa Bay’s premiere Bosch Certified CCTV Tampa area dealer and has been servicing Tampa Bay for over 25 years. In fact, ATS’s technicians have the capability to service 79% of all life safety and security brands on the market today. ATS’s CCTV products are designed for long-term value. We are a proud provider of systems with highly regarded names such as Bosch, Speco, Aiphone, Alarm Saf, American dynamics, Axis Communications, Bi-Tronics, Dedicated Micros, Digital WatchDog, Everfocus, Gem Electronics, Honeywell, Pelco, Samsung, and Speco. Our CCTV installation clients receive high-level closed circuit television systems regarded industry-wide for their technological advancements and overall effectiveness. Our partnership with Bosch ensures that is true. Combine the quality of the product with the quality of ATS’s crew expertise, and you have a complete answer for your CCTV needs throughout Tampa Bay. ATS’s technicians have the capabilities to service off-site (cloud) video, network, digital, and SD card storage unit solutions. ATS also services high-speed pan/tilt/zoom (PTZ) dome cameras, mega-pixel cameras for high speed images, IP camera solutions, video analytics, and analog closed circuit television (CCTV) solutions. From intelligent video analytics to simplified remote viewing, playback, control, and configurations, ATS can make it happen. CCTV remote viewing can be easily accomplished by using personal computers, Android devices, and Apple products when the device is configured to an Internet access. 24 hours a day, 365 days a year, ATS technicians are equipped and ready to service your CCTV system. 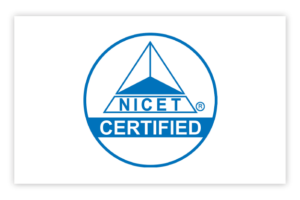 ATS’s employees are NICET, FASA/BASA, and factory certified to promptly evaluate and repair your CCTV system. ATS encourages their technicians to further their education in degree programs such as “Network Security” degrees provided by St. Petersburg College.